A good 150 years in existence and still reckoned among the best is no mean feat for a school. Little wonder that The Bishop’s School can boast of illustrious alumni and an impressive list of achievements. Back in April 1864, with just 15 students and one school master, The Bishop’s School was established in Pune’s Cantonment area. Today, 150 years later, it has grown by leaps and bounds, reaching a milestone that is touched by few institutions. 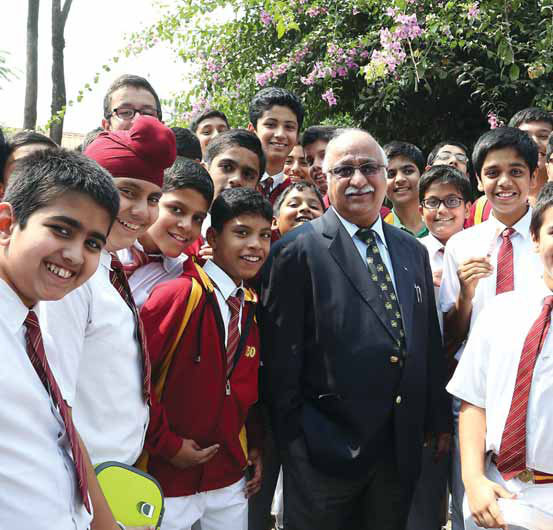 The school boasts of illustrious alumni including stalwarts like former Chief of Naval Staff Sushil Kumar (retd), Indo-American entrepreneur Sabeer Bhatia of Hotmail fame, Chairman of the Poonawalla Group Dr Cyrus Poonawalla, Chairman and MD of the Magarpatta Township Satish Magar, and many famous personalities from all walks of life. The school was founded by the Rt. Reverend Bishop of Bombay, with the explicit purpose of providing education to the children of European, Anglo-Indian and Christian communities as per the principles of the Anglican Church. 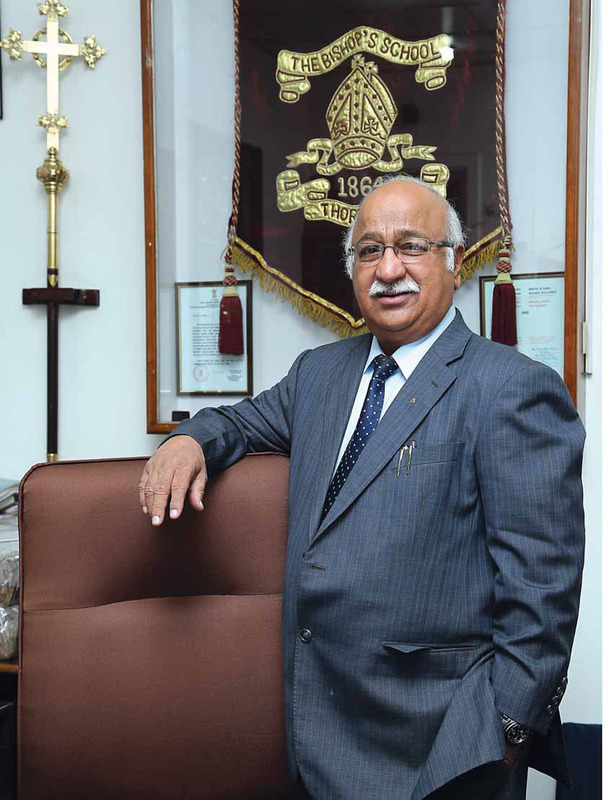 Started by Reverend Fenton and Lt. Col Sydney T. Stock on April 19, 1864 to cater for the sons of warrant officers and non-commissioned officers of the British Indian Army, today its campus resonates a spirit of diversity and inclusiveness amongst its students and faculty. At the time of its inception, the school found its shelter in the barracks under Corporal Mansfield on April 19, 1864. It moved to its present location in 1868. With a mere 15 students on its rolls in 1864 to a count of 11,964 in 2016, the history of The Bishop’s School has indeed come a long way. 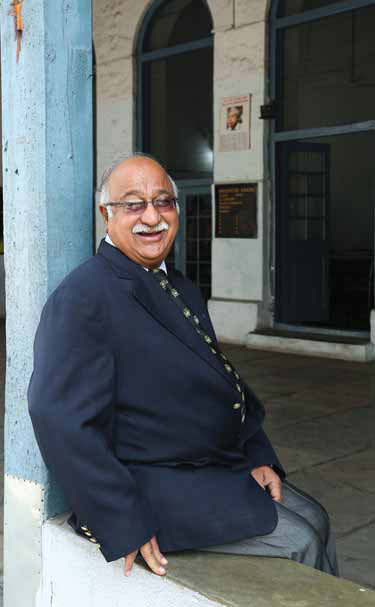 Frank Freese, the CEO of the School spoke to Corporate Citizen about the highs and lows he faces in running and maintaining the tag of one of the most prestigious schools in the country. Mr Frank Freese and Mrs Valerie Freese have been with the school since May 1999. You are the principal of a prestigious school, and become ‘seasonal VIP’ particularly during the admission season. What are the challenges, demands you face, in terms of political and other pressures? We are not seasonal VIPs, I would say we are VTPs (Very Targeted People). After getting declared as Pune’s ‘number one’ school for many years now, everybody wants to get into Bishop’s. Wherever they come from, there is a famous line included in the application, ‘My friends told me the best school is The Bishop’s.’ That means a million friends have told him that! We are under tremendous pressure. Once the admission results are declared, the trouble starts—those who do not get admission want to make the cut. They get recommendation letters from so-called influential people. We can’t honour everyone—having already filled up 250 seats, where do we put the next? And there are still another 1,500-odd!. When we refuse, they (touts and others) hold andolans, they break into the school, and rough up my chowkidars. We need to get bouncers to keep us protected. All this happens at the time of admissions. So we are not VVIPs, we are very weak, much targeted people. What I worry about is not myself, but my staff. My staff naturally tends to prevent those who forcibly try to come into the office and pressurise us with threats and so on. They get abusive and threatening; eventually some of them do come to me. And when they come, it is in groups and I cannot accommodate them in my office. I can only speak to them one at a time. So what would you advise parents who don’t get admission for their wards? My advice to parents is to look for alternatives. They should apply to many schools and have their options open. Many parents say they have not applied elsewhere, which is very wrong. It is their child and they should get the child into school, if not one particular school, then some other. I am sure there are many other schools available. This must mean you need protection, especially when you go outside your premises? We did get some police protection some years back, but that has stopped, maybe because of shortage of police staff. Now the police come only when we call them. Talking about your alumni, who are spread across the country and overseas, could you name some outstanding students among them? The first name which comes up is Sabeer Bhatia who invented hotmail.com. There are many army officers – among whom are many generals --be-sides editors and freelance journalists who have passed out of this school. At one stage, we had six serving Rear Admirals and Vice Admirals in the Indian Navy. One of them, Admiral Sushil Kumar became the Naval Chief. Air Marshal Keshav Rao who was Commandant of AFMC is a Bishopite. There are others, very successful businessmen, as also a couple of actors in Hindi movies. What is your take on the present generation who are said to be a pampered lot? And this being a boys’ school, how do you manage? Boys being ‘a terrible lot’ is not true. There could be a few. But overall I would say, 98 percent are good. They are hot-blooded, full of life, and they are full of fun. Who wants to sit in class for five hours, going through books? The boys like to laugh and joke and obviously shouldn’t cross a certain line which could be termed indiscipline. That’s how it is, but I don’t think boys are bad today. They are just living in a different world than you and me. I mean their ideas, their morals, their ways of thinking and way of life are different. Yes, they are born with technology. We try to learn it but still cannot keep up with the youth. So it is a different life for them, but that does not make them bad. You have been with this institution for almost two decades. How do you compare the present generation with the past? The biggest change that I find is the physical size of the present boys -- they are much smaller compared to the earlier generations. Earlier, a boy was much taller, bigger, and many of them were taller than the teachers. Mentally, today’s children are fast players. Not because of any difference in the brain system but because today’s child is exposed to many things. Due to the electronic revolution in the world and the many electronic inventions, a child is much smarter now than what we were in our days, all because his exposure is much more. We did not have things like laptops, telephones, games, leave alone smart phones. It’s a different world for them. As children, we were scared of our teachers, fearing, I’d lose my pocket money, I’d not be allowed to go home for Diwali holidays, so on and so forth. All we could think of was, ‘if I do this, what punishment will I get?’ Today’s child just doesn’t know what punishment means. Because of the laws of the country, today you cannot use corporal punishment on a child and nobody dares to do it now. You rarely can punish a child. So children now are quite unrestricted where discipline is concerned. They tend to be full of life without realising they could be crossing the line of discipline. All the niceties of telling the child a bedtime story, or tucking him into bed are gone. All that the parents do and say is, “Go, get to bed.” We have technology and the compulsion of both parents having to work, to blame for this! I don’t think we can justify using those words because what is good for me is bad for somebody else. What is discipline for me at my age is not discipline for a young child. Look at today’s world outside. Today’s young adult, more often, is either giving or taking a bribe and he says, “what have I done wrong?” He doesn’t realise that it is wrong to give or receive a bribe. Today it is almost a way of life. So that puts a lot of pressure on a person like you to manage it? Yes! It puts a lot of pressure on us, teachers, or the Head of the schools. More pressure on the parents. Children are with us for five-six hours; they are with the parents for the rest of the day. And if they don’t get their way, then the parents have a very tough time. Parents have come crying to us for help. On the other hand, parents are putting pressure on schools. Earlier when we were students we didn’t dare say anything about the teacher or the Principal to our parents who would shut us up. Then, the teacher was always right. Do you get this kind of pressure from the parents? We do. Parents are models for their child. They are aware of the laws of the country and so rather than facing pressure at home from their child, they will stand by the child and put the blame on the school. And this is where a teacher faces a lot of flak. The moment the teacher says, “Come on, we will go and talk with our Principal,” the parent is quiet and walks away. They won’t come to the Principal, but would take it out on the teachers who seem to be punching bags. With this nuclear family and materialistic pattern, do you think children have psychological problems? If yes, do you have counselling facility to deal with it? Yes, about 14 years ago, I found there was something wrong with a certain child. He didn’t strike me as the ‘boy next-door.’ So we took him in and we watched him for about a month or two. Yes, he had a lot of problems. He couldn’t read properly, he couldn’t write properly. He couldn’t sit still. There was no eye contact with anybody. And he was quite different from the other children. When I spoke to some of the teachers, they said it was difficult to handle him because he was very different from the others. He knew no boundaries and he did not know what he was doing, they said. So we decided to experiment by opening a separate class for such children. We did this for other children like him, because we realised that we had more children like him in our school. We started a class with three children. I named it ‘Sparkles’ because I feel there is a sparkle in every child, we just have to find what it is. After a meeting with all those parents of such children, they understood the concept behind my effort. They were very excited. After a stint in the Sparkles class, we would put them back with the regular children. So that the child never felt that he was different from the others. He didn’t have this feeling of being segregated. Since then we have been expanding. Today we have a psychologist on our panel, I have nine remedial teachers in Sparkles, three in each school. Each school has a Sparkles department and each school has about 200-odd children to nurture, guide and educate. So what do you do in the Sparkles class? We teach them in “a different way,” We try to bring out their weaknesses and work on them. There are psychologists, who are specially trained to treat such problems in children. There is a lot of love, a lot of personal attention given to each child, depending on what his weakness is, be it ADHD (Attention Deficit Hyperactivity Disorder), dyslexia, or dysgraphia or things like that. If he has dysgraphia, then they will work in that direction. These teachers are specially trained to deal with a Sparkles child. This concept has not lost its need even today. Some parents realise that something is not normal with their child. So they come and talk to my psychologist. My counsellors even counsel the parents and help them understand what is wrong with the child. We have trained people to find out what is wrong so that we can treat them correctly. Rather than a medical/psychologist intervention, this is without medication in most cases. It’s just with love and guidance in the right direction. Do you think other schools should also have such facilities? If they don’t, they should open one, because I believe today’s child goes through a lot of trauma. The mother goes to work in the morning, there is no breakfast. The father comes back late at night. The child is left alone the whole day. What does the child do? Myriad problems develop. What is your take on the lack of communication between the parents and children? There is very little quality time when both the mother and father are working. In a lot of cases, if not all, when the mother is at home when the child comes home, she cannot cope with him. He/she goes for tuitions or say, art class, or judo and comes back for dinner. When the child comes home for dinner, the father returns home after a hard day’s work and since he has little time with the child, the child’s bedtime is stretched to after 10 pm, which leads to his / her having much less sleep than he normally needs, as he has to get up early for school the next morning. All the niceties of telling their child a bed-time story, or tucking him into bed, or even saying “good night” are gone. All they do and say is, “Go, get to bed.” We have technology and the compulsion of both parents having to work, to blame for this! What, according to you, has changed in your school administration or outlook after the RTE Act was brought in? What do you think about the 25 percent reservation for the underprivileged students in every class? Would you elaborate on the pros and cons of the RTE Act, as a Principal? In itself, the RTE is a good Act because it is attempting what our country should have done years ago. It is trying to spread education to those who do not have the opportunity. It’s still not successful because most of it is concentrated in the big cities. It does not go to the villages and talukas where there are so many people who don’t know what education is. Where we are concerned, we are minorities. We are either linguistic or religious minorities, and the Constitution of India grants us the right to open and run our schools. We are doing this to give our children the best. We sponsor students irrespective of their education, or what community they belong to. There may be 12 or 15 Anglo-Indians that we sponsor because there are only that many Anglo-Indians left. The rest of the 500 would be Hindus, Muslims, Marwaris, Sikhs and also from very poor, broken families. So we do it voluntarily, not under force or pressure. We have taken the Government to the Court. We have fought against the RTE and won the case. Now all Minority-Aided and Unaided schools are free from the RTE. We don’t come under the RTE. However, most of these schools do a lot of social service. We all have scholarships, we have sponsorships, we have freeships. We also go even further. We are training six boys and six girls for teacher’s training, sponsoring the whole lot. Which is the better idea, a boys’ school, exclusively girls’ school or a Co-Educational school? In the past, a co-ed school was ideal, even though it was a boarding school, because everything was different in those days. Today, we are exposed to so much, TV, films and computers. The media has exposed children to a lot of things they should not be exposed to, because of which we have a lot of boy/girl problems. Although we have this problem, I still say it should be co-ed as young teenagers learn. Else, when they leave school and go to college, and they suddenly come across men or women, they do not know how to react and there-by get into trouble. Co-ed is a better system, because they learn a lot about themselves, or how to behave and how to respect a lady or a gentleman, and how to grow up socially in a balanced way and clean environment. Most of them learn that there is a certain line that you do not cross. However, every basket may have a bad apple. It doesn’t mean that the whole basket is bad! All the restrictions that the government has imposed on you, such as to take students from a three-km radius, no interviews for primary admissions, etc. Is it practical in reality? In reality, it is not practical because every parent wants to go to the best school. They don’t want any mediocre school or government school. Parents say it is okay if their child has to travel nine km a day, provided he is getting the best, he is happiest there. “Why should I put him into a nearby school, if it is going to provide second- or third-rate education?” is their view. So it is not practical because there is not going to be a good school within three kms radius in every neighbourhood. What is your opinion about the different School Boards in the country and the ultimate growth of the child? Do you think there should be just one central board? No, I don’t think there should be one Central Board. If you are talking about the CBSE, State Board, ICSE, these are recognised Boards. They set certain trails which are very well established and have produced very brilliant people in the world today. Curtailing it all and merging them into one Board, would leave no choice for the student. Education would get stabilised and stagnant. The present system is good with the States having their own Boards, besides the Central board as well as the ICSE Board held Examinations for all over India. Students can choose, because that is one of the things we have - freedom of education, freedom to choose what they want. With these various Boards, children get a lot of exposure, enabling them to plan for their future education. What do you think of the transparency that is coming into the CBSE schools because of the Right to Information? It is very much needed as long as it is not abused. You see, all schools are open to giving information which will not be used against them, but this is just data collection, which they use against schools. Today, people do not look at things as they are. They want to look beneath the surface and in many cases, they do manufacture problems. What is your opinion about teaching as a profession in India? Do you think you get quality teachers? Do they get the right salaries for this noble profession? Does it match? Today, a teacher’s job is not the ideal job with regard to maintaining your living standards, ensuring your future or your children’s, because you cannot be paid enough in this profession. It does not generate income enough to pay what the corporate sector pays. A school does not have enough finance to give all the privileges that the corporate world gives to its staff. Then what is the future of the teacher? When teachers retire, what do they get? Do they get pension? No, it’s just provident fund and their personal savings. However, if you are a government teacher, you get pension, you get get pension, you get loans, and so on. With other teachers, you have a small salary but 10 times the number of problems. Teaching does not end when the bell rings for the last period of the day but extends to the time the teacher goes home. He / she takes a pile of notebooks, and has examination papers to check. They have to prepare for the next day’s lessons, as well as convince themselves that they want to go back to a rowdy class, face rowdy children. So, ideally, I would not tell somebody to become a teacher, unless they are devoted to the profession. What would you want from the government for a teacher? All schools should be able to pay teachers government rates, at the level of a gazetted officer. That’s a good salary. They should get privileges of pension, medical insurance from the government. They should get housing privileges. So you do agree that teaching is a thankless job? Absolutely! A thankless job as far as finances are concerned, as far as the problems are concerned. However, at the end of the day when you go back and you have a good class, a good lesson, children behave themselves, they give you good results—that is gratifying in itself. It doesn’t buy you onions and potatoes but it gives you satisfaction that makes one feel that “because of me they have benefited.” That’s the reward. Should technological applications be taught in schools on a big scale? Yes! We have already started that with the help of the software that exists. About 50 percent of our classes are furnished with these technological gadgets. We will bring them to the rest of the classes in course of time, when finances are available. Do you think technology will take away something from the child, like handwriting or something else we used to do manually? It definitely affects handwriting. It affects the reading ability too because he is not picking up books to read, he is looking at screens. He would rather look, than read. It is happening that way, but otherwise it is producing brilliant minds. We spoke about psychological problems, do you have addiction problems such as drugs, alcohol in the school? So far, thankfully we haven’t had any cases of drug addiction. We don’t suspect anyone of taking drugs. In the past, when we had bigger boys in the school, we might have had one or two incidences, but it has not been a problem with us. Definitely not in the school. Earlier you had just two or three schools at the level of Bishop’s in Pune, but today you have a whole lot of schools thrown open. What is your take on that as regards quality of teaching, quality of schools, and the fees? Why is it that your school still stands out? I don’t know what to say about that. I ask myself, there are so many schools, they are charging such a lot of fees, they are promising the world, then why do people come only to Bishop’s? So let the public decide why they come here and they can answer that question. How do your alumni give back to the school? Donations? Time? I have never found in any other school the spirit of oneness that I have found in this School. They are very close in their own way to their own little groups. They all still love Bishop’s. On singing the School Song, they will be standing tall, their shoulders drawn back, chest out and at attention. In that way, they are very faithful, very loyal. They come regularly to the school. They walk around with tears in their eyes when they look at their desk, still in the same place. They feel their history is here. You know they love the School so much. As for the contributions, we haven’t asked. We haven’t asked for them to financially support the School. A lot of them are doing extremely well. We have got students who are billionaires but we never ask for funds. Some have come forward in groups, voluntarily with donations. A lot of them come forward with sentiments, with suggestions. Most of them come back letting us know how much they love the School and what they are today is because of the Bishop’s care. Ken Ghosh, Hindi film director. Purab Kohli, Indian model, VJ and actor. What is the one thing that you would like to tell the government to improve the education system and teaching profession in our country? Or about schools in the country? Trust the schools. Support the ones that are really doing a dedicated job. It is not a profession; it is a calling for them. They teach because they want to spread knowledge. Support them, stop ignoring them. In so many ways there are just roadblocks for teachers, roadblocks for schools. Remove these, and believe me, education here will match anyone’s dreams. They only have to stop bothering us and let us go forward, educating people. What is the philosophy of your life and your school? The philosophy of my life is to help the downtrodden, whoever they are, whatever the matter. Where the School is concerned, we want to produce good, educated, thinking young ladies and gentlemen, ‘Thorough’ in every way, who will support the country in what is right and not in what is wrong - never ever wanting to work for themselves but to work for others first. © Copyright - 2014 Corporate Citizen. All rights Reserved.